The Elder Scrolls VI is a real videogame that’s in development – we’ve though as much for a while, but Bethesda made the reveal official at their E3 showcase this week. So when’s it coming out? There’s at least some idea inside the studio what the release timeline would be, though as you might expect Todd Howard is reticent to say too much. When asked if he had any idea when TES6 will launch during a GameSpot interview, Howard says yes, but “I would be foolish to say it.” If you hadn’t quite read between the lines of the game’s devastatingly brief reveal trailer, the message you should take home is this: don’t expect more on the next Elder Scrolls for a very long time. This will be a damn near permanent addition to our list of upcoming PC games. This is the same interview where Howard suggested that Starfield might be a next-gen game, and he also laid out Bethesda Game Studios’ path for the future. Fallout 76 is set to be the team’s last major title before Starfield, and TES6 will be the next big game after that. Assuming that they stick with the three to four year release cycle they’ve maintained in the past, that means you won’t be playing TES6 until 2024 at the earliest. 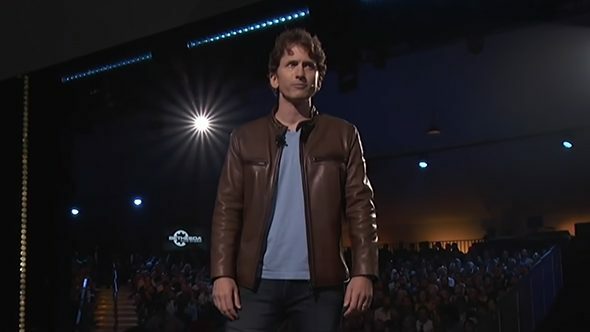 Howard warned those awaiting Starfield that they’d need to be “very, very patient” in looking for new information, but fans are going to have to be downright saintly in awaiting The Elder Scrolls VI release date. It’s a change of pace from the shorter announcement cycles Bethesda has been moving toward in the past, but now even Howard himself doesn’t know know when the developer will be able to show its new projects in a more substantial state.